Have you seen that new Deadpool in theaters yet? Well, Stephen Colbert saw Deadpool a while ago… during his opening monologue… and it was hella funny! 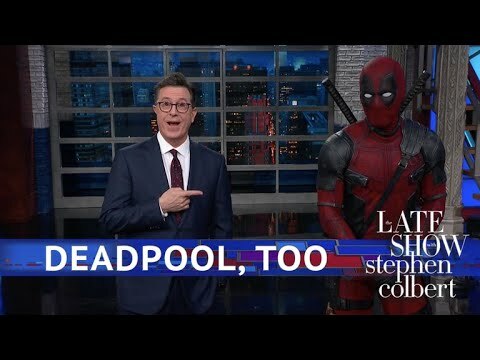 Stephen talks about D.C. every night but, after a visit from Deadpool (Ryan Reynolds), it appears “The Late Show” is part of the Marvel Universe.